Long story short, I went to Silicon Valley and found angel investors for my Browserling startup that I am doing together with James Halliday (SubStack). James Halliday, our lead investor and advisor David Weekly, and me. Last year in March, James offered me to do a startup. He had this idea of putting virtual machines on the web. I knew he was really good at functional programming and the idea was solid, and I had been wanting to do a startup for years, so it didn't take me long to agree to do a startup with him. James already had a prototype in Haskell but it was too slow, so I rewrote it in node.js and wrote several C++ node.js modules for fast encoding. In July we had a solid working prototype and I announced on my blog that I am doing the StackVM startup. We had decided to apply to Winter 2010 YC, so we hacked some more, and applied to YC in October. I was super sure we'll get accepted as I had done various interesting projects in the past for reddit, digg (this project had 100,000 visitors in 20 hours), hacker news, I had over 50 unique projects on github and my programming articles were getting millions of views. I bought a ticket to Oakland on October 20, before the results were even announced. Meanwhile, James took a car trip to Oakland from Alaska, where he was residing at the time. On October 28 I arrived in Oakland at around 9pm. Then I took BART to MacArthur and met James for the first time. He was a good guy, so everything was fine. The YC results were to be announced on November 2. November 2 came and to our horror they decided to pass on us and we didn't even get an interview. Here is our YC application and 2 minute YC video if anyone is interested. The video isn't great but it was like the 100th time we tried to record it and we were out of energy to do more videos so we just went with what we had at 100th take. Fortunately for us, I had saved some money from all my previous jobs and my projects and decided to put $15,000 into our startup myself. I had been willing to do a real startup for years so I was fine with putting $15,000 in and we just started coding and not thinking about much else. James had heard about Hackers and Founders meetup that's organized by Jonathan Nelson and Laura Nelson, so we decided to attend all the Hackers & Founders meetups. When I first met Jonathan I was really surprised cause he knew me already from this blog! He had used my xgoogle Python library for scraping Google search results for his Newsley startup. That was thrilling! The goal of this blog from the beginning was to get me well known and my blogging efforts had paid off. Success, I was known in the Silicon Valley! So we'd continue to go to Hackers & Founders meetups in SF and Mountain View, and we'd show everyone we could what we had made, and things were going really well. People loved what we were doing and we didn't worry much about anything, we'd just code and improve Browserling. We launched beta on November 24th and added paid plans in January. The moment we launched the paid plans we got our first customer, and then a few more, and then a few more, and by the end of January we had 10 paying customers already! Things were looking fantastic, but the time was ticking and the $15,000 was running out. It was now February and we had just a few $k left, so we decided it was time to raise money. At one of the Hackers & Founders meetups Jonathan introduced us to Adam Rifkin and he was really excited about StackVM and Browserling. We told Adam that we were looking for a small investment of $50,000 that would keep us going, and he introduced us to David Weekly. So we went and met with David Weekly and he was also really excited about Browserling. He was actually so excited that he wrote a check for us on the spot! Haha, how awesome is that! That's the Silicon Valley I had read about! A check on the spot! David Weekly decided to lead the investment round for us and help us structure the form of investment. We went with a convertible note, that's the best form of investment. He also introduced us to his friend Ulrich Gall. We took a trip to meet Ulrich Gall, talked for a few hours and we had another committed investor. We actually didn't have phones so he gave me a HTC Nexus One that he had gotten at one of TED conferences. Awesome! Now we were connected, too. David also got his girlfriend Rebecca Lipon to invest. Meanwhile Adam introduced us to Nick Heyman, who's friends with Mike Tsao. 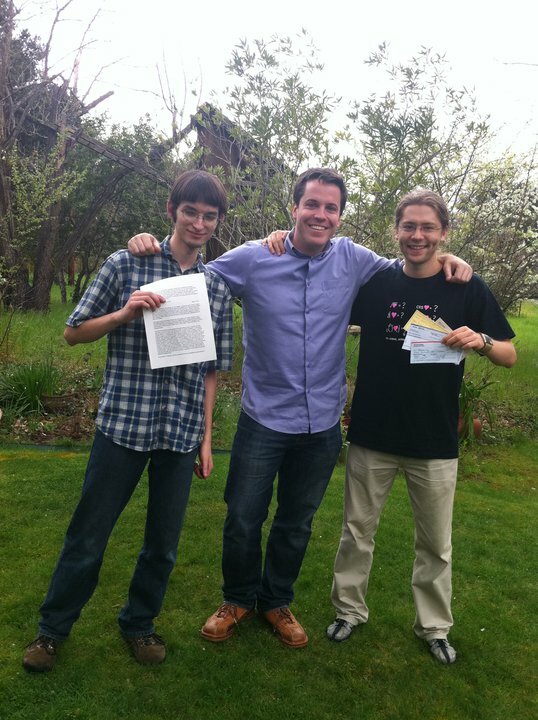 We met with Nick and Mike, and they agreed to invest as well. Mike loved that we had paying customers already. Now we had 5 investors but we didn't yet have a company! So we had to incorporate. We met with several lawyers from Orrick, Feynwick & West, and some more, and we liked the lawyer from Fenwick & West the most, so we went with him. A few days later we incorporated as Browserling Inc. Then we took another trip to meet David Weekly and we signed the investment documents with him and Ulrich. On the same day David Weekly also interviewed us on his The David Weekly podcast. We were super excited. Next we setup our advisors. David Weekly, Jonathan Nelson, and Adam Rifkin were the most helpful and the awesome people we had met so we set them up as our advisors! That's the story. Now we're adding all kinds of cool features to Browserling. Just last week we launched tunnels for Browserling that allow you to access your localhost or local network from Browserling, and we're launching Testling soon, that's an automated test framework for Browserling. I have a dozen more blog posts prepared about Browserling. Such as how we open-sourced 40 node.js libraries, how open sourcing them made Browserling easy to maintain, how Browserling works internally, details of new features such as tunnels, resolution changing, testling. If you want to hear more about it, then subscribe to my blog and/or follow me on twitter.